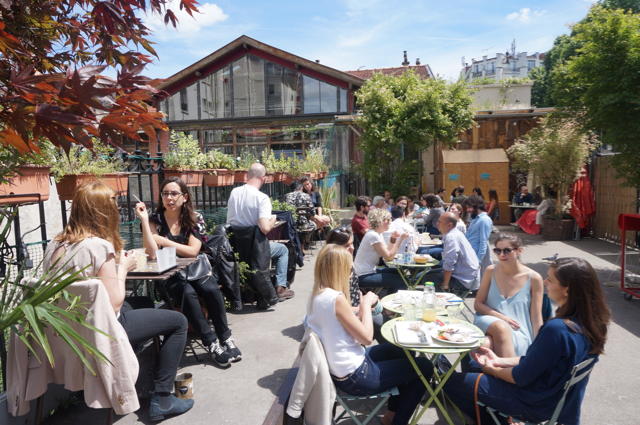 On the grounds of a disused railway track lies an unusual and intriguing spot, located in the 20th district of Paris. 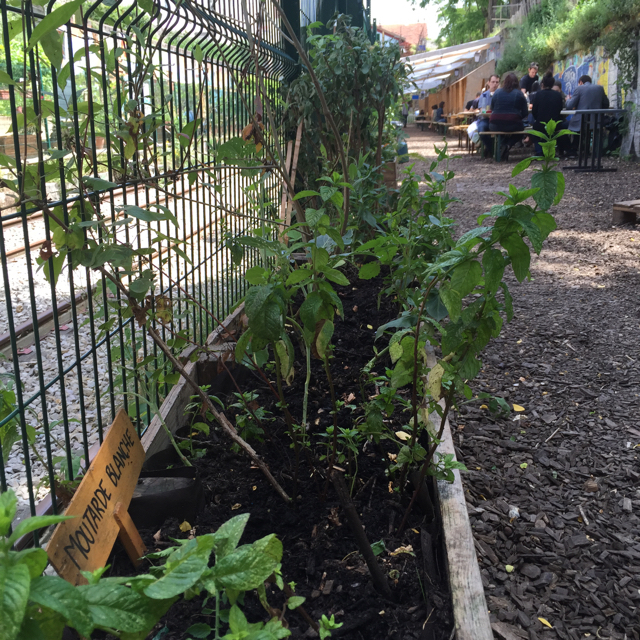 La Recyclerie is a shabby chic combo of an eaterie, café, mini farm, library, garden and education centre. 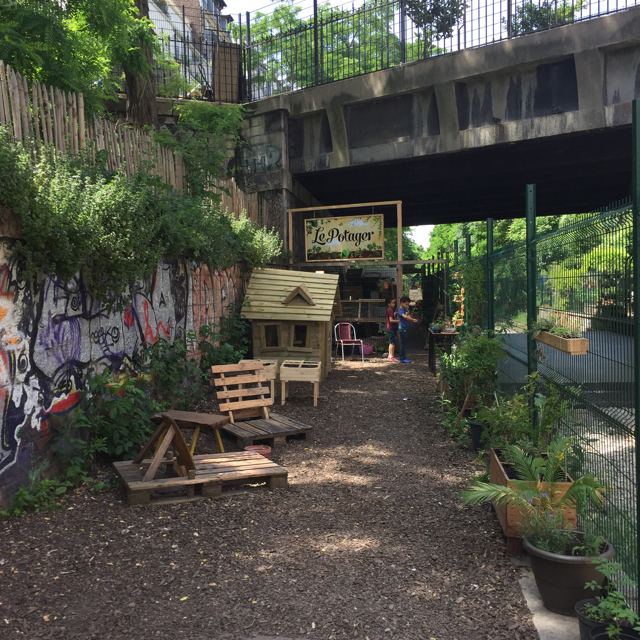 It has long been hailed as a great space for kids and from an explorative perspective, it is true. 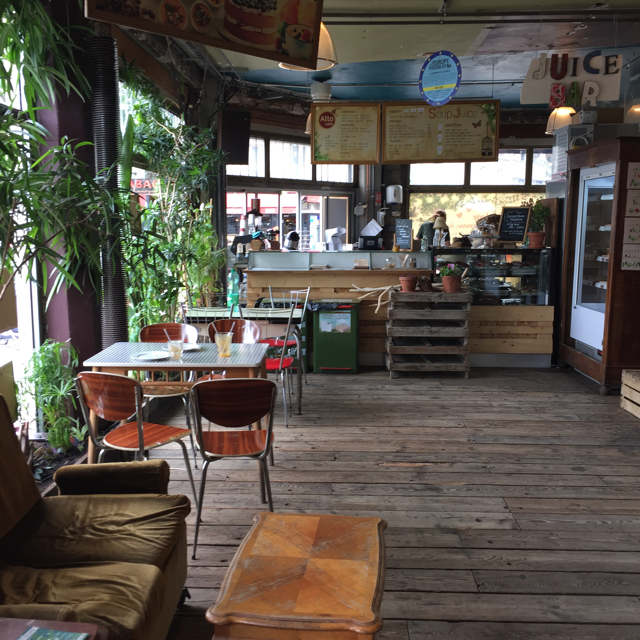 Built on the premise of being an eco-friendly, community-led operation, it is focused on reusing materials and campaigning for more of the same, La Recyclerie is an interesting venue with a worthy cause. 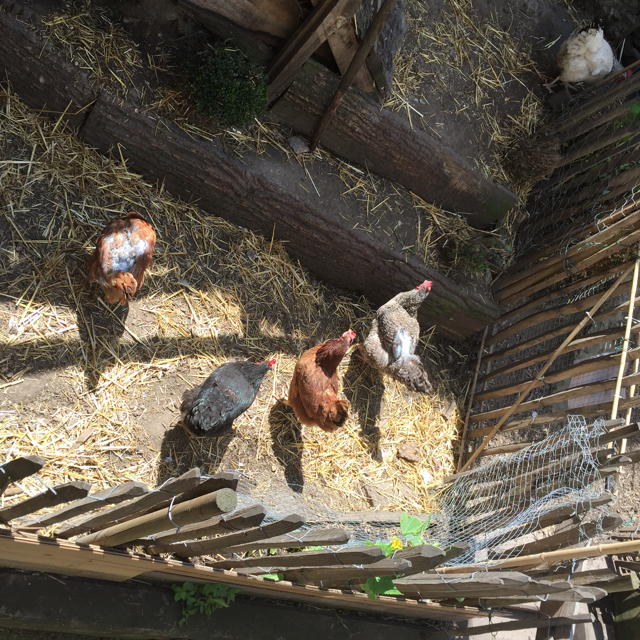 Here, all the furniture is second-hand, the lights are LED, they have a compost heap and the chickens on the farm provide the eggs for the restaurant. All part of their commitment to recycling and conserving energy. 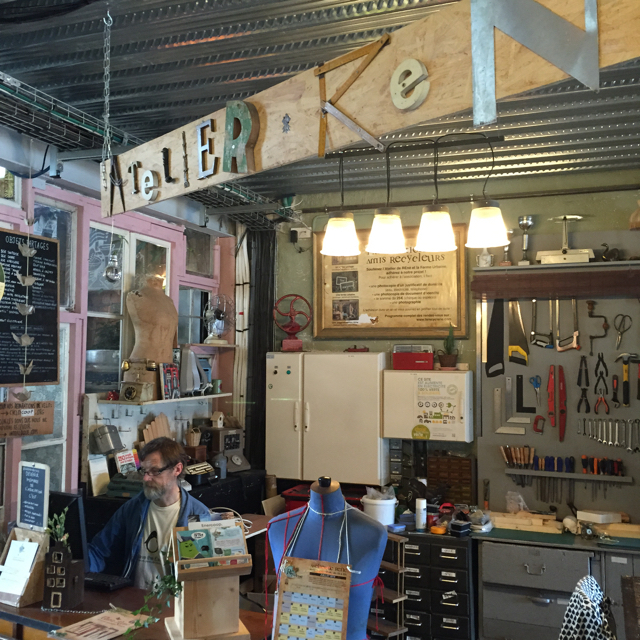 There’s a little repair shop, dedicated to discouraging people from throwing tools away instead committing to getting them working again to avoid waste. Plus, La Recyclerie even hosts swap parties, to forge a type of barter system so what we own or have is reused in some way. The concept of this initiative is admirable and stepping inside the venue feels like a political statement for the Green Movement! The space is big and split over two floors with a narrow exterior green space. At front of house, there is a café serving up cakes, cookies, milkshakes etc, adjacent to the restaurant which offers more substantial food servings. 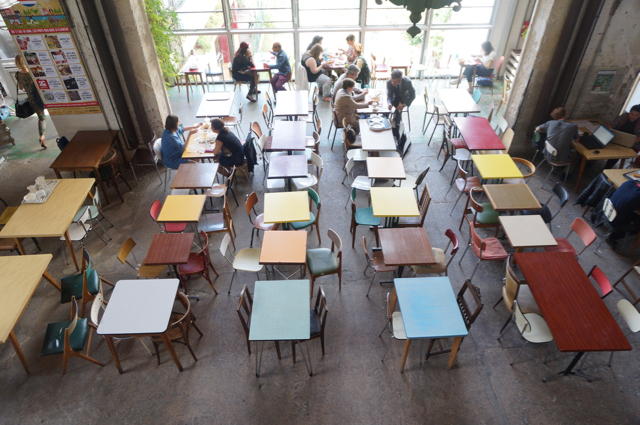 The dining room is full of retro chairs and tables with a distinct canteen style inspired from another era. A hidden alcove or two can be found with a bit of investigation and then after further exploration, you discover the terrace out back. The concept behind La Recyclerie wasn’t lost on the kids! They totally got the message. Their garden, however was by the far the kids favourite space as they could run around and get a little closer to nature. In all honesty, the children didn’t enjoy the food so much, but it could have been their selection. 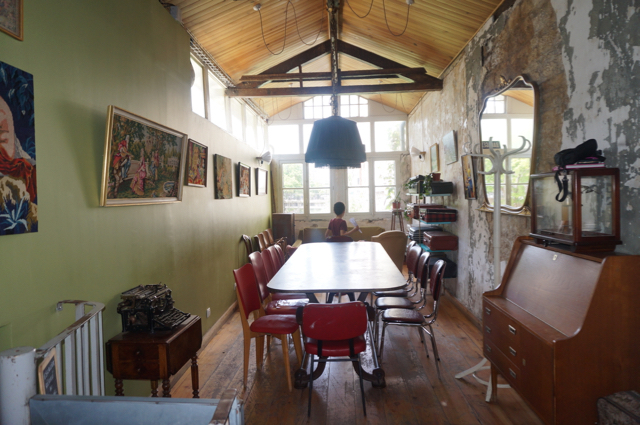 They did love the space though and it would be worth going back to check out one of the kid’s workshops on offer. Check out La Recyclerie’s website for more information. Have you been here? Let MLP know what you think? If you found this post useful, please like it before you go and subscribe to MLP for our newsletter. 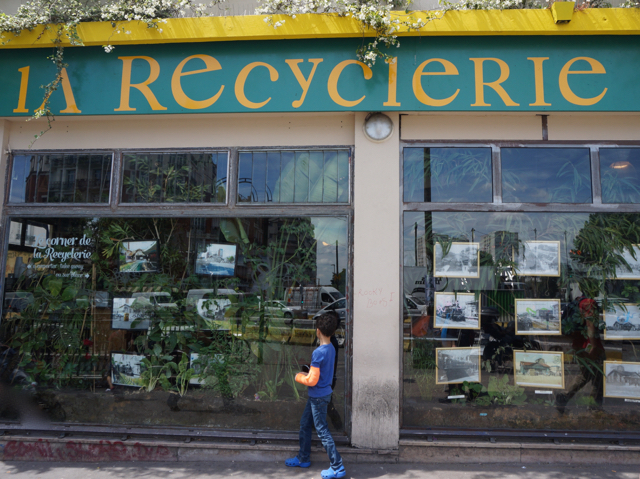 La Recyclerie – 83 Boulevard Ornano, 75018 Paris, 01 42 57 58 49. Open 7 days a week but check on the website.